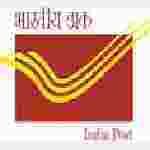 India Post Artisan recruitment 2016-17 notification apply for 2 vacancies : Indian post – Mail motor service, Guwahati welcomes application for the position of 02 skilled artisan (Motor Vehicle Mechanic) vacancies. Candidates who completed their 8th class is a good opportunity.The individuals who are the occupation seekers searching for govt employments in Assam this is the best chance to apply. Competitors read the official notification then read all the guidelines and miners precisely then apply before the last date online application got. All the interested and eligible candidates can apply before 39=0th July 2016. Academic qualification details: Candidates should have certificate in the respective trade from any technical institution recognized by government or passed VIII standard passed with the experience of one year in the respective trade. Process of selection for the job: The selection of the candidates will be on the basis of written examination and personal interview depending on the number of Candidates applied..